I’ve talked more than once about my reserve for characters featured on the book covers. I usually imagine the characters in one way and their presence on the book cover can influence the manner I picture them, rarely in a positive mode. I do not deny the beauty of such covers, but only occasionally I am fully satisfied by their appearance. 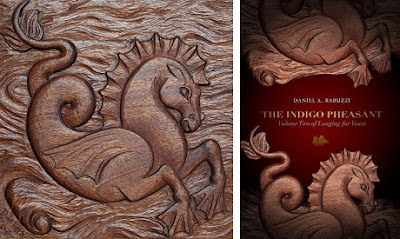 One particular case is when I actually see the cover artwork after reading the book in question and one such situation is with Evie Manieri’s “Blood’s Pride”. I received an advance reading copy through the courtesy of the UK publisher, Jo Fletcher Books, and because of this I saw the cover artwork of the novel only after I finished reading “Blood’s Pride”. Ideal, but as much as I would love to see it happening more often (secretly dreaming of working in an art department) it is only occasionally possible. When I finally saw the cover edition for the UK edition of Evie Manieri’s novel I wasn’t thrilled. 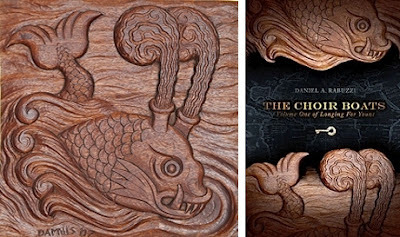 It is a nice cover, but not a spectacular one for me. 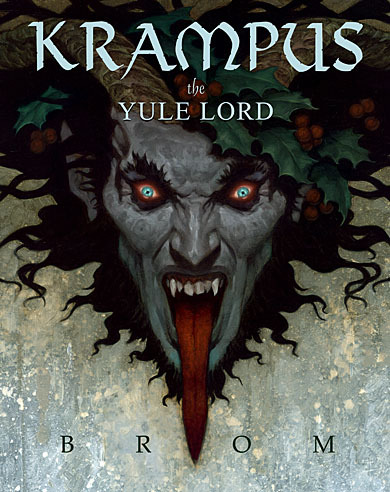 My position changed when I discovered the cover artwork for the US edition, due to be released by Tor Books on February 2013. True, it is centered on characters and has a more pronounced accent on the fantasy theme, but it is another wonderful composition born from the magical hands of Kekai Kotaki. Evie Manieri’s “Blood’s Pride” has a large number of important characters and each of them could have made an appearance on the cover. But the two making that appearance are the ones that hold the thinnest of balances in the context of the story, the Mongrel and Jachad Nisharan. I did not picture these characters this way, Kekai Kotaki surpassed anything I imagined and he actually made me like the character of the Mongrel even more. Also, the darker atmosphere of the cover works better in my case. 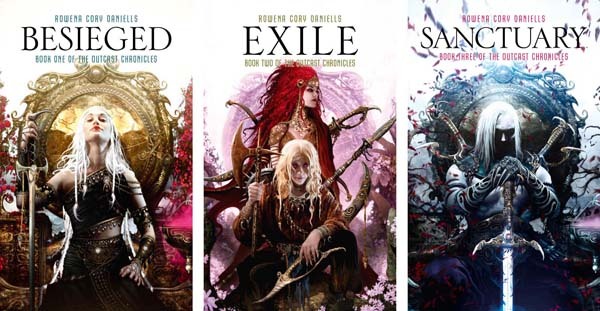 And in the end, as much as I feel restraint towards the characters featured on the book covers, in this case, I have to admit that the artwork is wonderful. Just before going on holiday I talked a bit about the new Joe Hill novel due to be released next year. No further details surfaced since then, so “NOS4R2” remains a mystery. However, Gollancz, the UK publisher of Joe Hill’s upcoming novel, revealed the cover artwork for their edition. And it is a thing of beauty. Taking a wild guess based on the registration plates highlighted on both this cover and the preliminary US one I would say that Joe Hill’s novel has something to do with a car – “Christine” just popped into mind almost instantly because of the father-son relationship between Joe Hill and Stephen King, but without taking anything from the value of Joe Hill’s works, truly deserving on their own and unaffected by this family connection – and vampires, because after all “NOS4R2” can be read with little effort as Nosferatu. I am still walking in the dark though and will continue to do so until further details about Joe Hill’s novel will be disclosed. 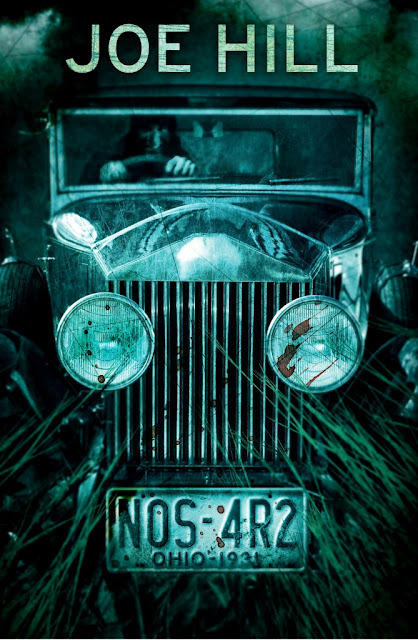 Nonetheless, the certain thing about Joe Hill’s “NOS4R2” is that it has one excellent cover! A generation has passed since the Norlanders' great ships bore down on Shadar, and the Dead Ones slashed and burned the city into submission, enslaving the Shadari people. Choosing the next book to read is not a complex process, but it can prove to be a difficult one. However, rarely it happens for a title to end up in the sieving operation with little or no information or background to support their nomination for the next possible reading choice. 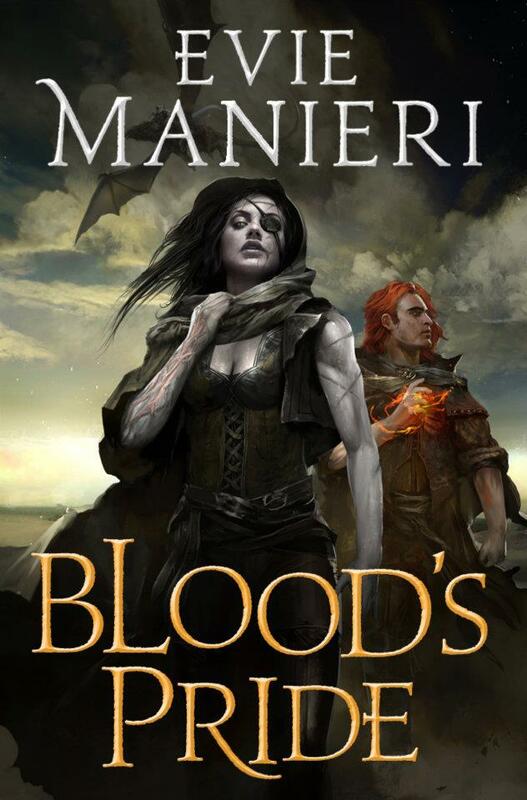 Fewer still are the books that actually end up read after that without digging for further details about author, title or series, as is the case with Evie Manieri’s “Blood’s Pride”. With the choice made, I opened the first pages of Evie Manieri’s debut novel and came across a fairly standard opening and prologue. A land is invaded by unknown forces, the religious figures of the attacked nation desert their people and the country ends up conquered and enslaved. What happens next in “Blood’s Pride” is far from ordinary. Evie Manieri creates a conflicted world, not particularly from the perspectives of the conquerors and the conquered, but especially through the angles drawn by the characteristics of the involved nations, through the struggle of the individuals to deal with each other and with themselves. The conquerors, Nordlanders, come obviously from the North, a land found mostly in the dark, have little tolerance for light, which proves a major inconvenience considering that the conquered land is mainly a desert. They also have the ability to communicate through telepathy, consider the Shadari, the conquered people, inability of telepathic communication repulsive and the use of language repugnant. Their capacity of telepathy leads also to a more direct connection, because the dialogue involves the exact feelings of the interlocutors as well. This skill extends to the use of weapons, swords can be controlled in certain conditions through the power of the mind as long as they are forged with a certain metal found in the Shadar (it is the main reason for the Norland invasion). One of the key elements of “Blood’s Pride” is not only the intolerance to light of the Norlanders, but also the physical contact with the Shadari, contact which in its eventuality would lead to a certain degree of burning for the Norlanders or freezing for the Shadari. The Nomas are the third nation of Evie Manieri’s novel, free people living in the desert of the Shadar, also capable of telepathy and without any interest in the conflict between the Norlanders and Shadari, acting as a buffer between the two aforementioned nations. As an aside, they come with an interesting particularity of their own, the romantic and matrimonial relationships are consumed once a year, in between the women navigate ships on the sea while the men live in the desert. These particularities and characteristics converging together lead to a wonderful and original dynamic of the novel. The internal conflict of each of the nation’s representatives is highlighted by their relationship with each other, especially the amorous associations. Because not only the Nomas have their own approach of the romantic connections, but also the love stories between the Shadari and Norlanders have the genuine touch of the heat transfer and the suffering it can cause to the lovers. 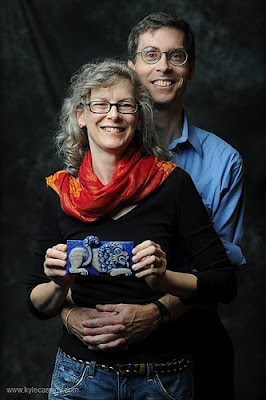 This element adds to the characters in love with someone from the opposite nation a new and very interesting dimension amplifying the work Evie Manieri does on her novel’s protagonists. Like the novel and its prologue the characters start in a similar standard and flat fashion. But once again their development cannot be in any way called standard. 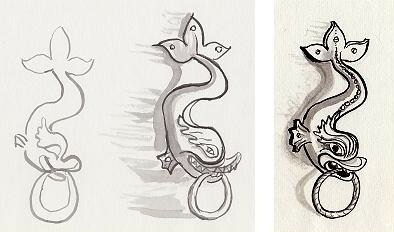 Frea, Eofar and Isa, the children of the Norlander governor find themselves between their homeland, their native inheritances and the customs of their people and the land of adoption and its people. Rho, one of the soldiers stationed in Shadar, faces his conscience, the Shadari Daryan, Harotha and Faroth are caught between internal struggle and the fight for liberation, the Nomas king Jachad Nisharan has to maintain the neutral balance of his people in the existing conflict of the novel. There is another one, The Mogrel, who also walks a line between the Shadari and Norlanders, but I’ll leave it aside because going deeper will spoil her demeanor. All these are just parts that give solidity to the characters and make them anything but standard. 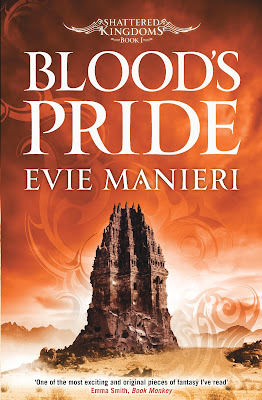 As a matter of fact, I believe it can be easily said that Evie Manieri’s “Blood’s Pride” is a character-driven novel. In this aspect it is better than many fantasy novels I read. I am very fond of the novels focused on characters, it is what attracts me the most to a book. 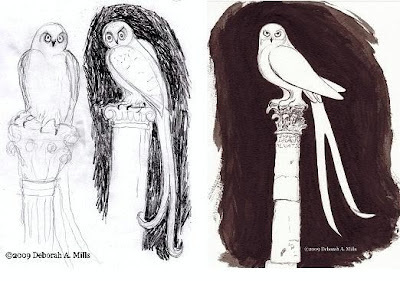 And I loved the particularities of Evie Manieri’s world building. But despite all these I cannot name “Blood’s Pride” the ideal match for my reading preferences. The novel reaches a point, around its middle, where is losing its momentum. The plot seems to fall prey to the characters and the main conflict diminishes its importance. Slavery is a condemnable practice, but somehow in “Blood’s Pride” the oppression of forced labor doesn’t reach its full extent. In my opinion, an approach from a darker light of this side of the story would have put more force behind this particular conflict. However, something good is driven from this shortcoming, none of the characters can be clearly define as the positive or negative ones. It can be said about two of them that they could incline the balance towards one part or the other, but there are enough reasons behind their actions to see them following personal dreams and interests through the wrong course of action. Evie Manieri’s “Blood’s Pride” might not be the perfect match for my reading taste, but it has clearly outlined characters, original world-building and an engaging story to be a solid novel. And a quite promising start for the “Shattered Kingdoms” series. Last week, on 12th September, one of my anticipated anthologies, “Circus: Fantasy Under the Big Top” edited by Ekaterina Sedia, was released by Prime Books. As I said at the time of my “Circus: Fantasy Under the Big Top” discovery I do have my reservations towards the theme, but the editor and some of the contributors convinced me to give this particular collection a chance. On October, a similar collection will be available on the other side of the pond, edited by Marie O’Regan and Paul Kane and released by PS Publishing. 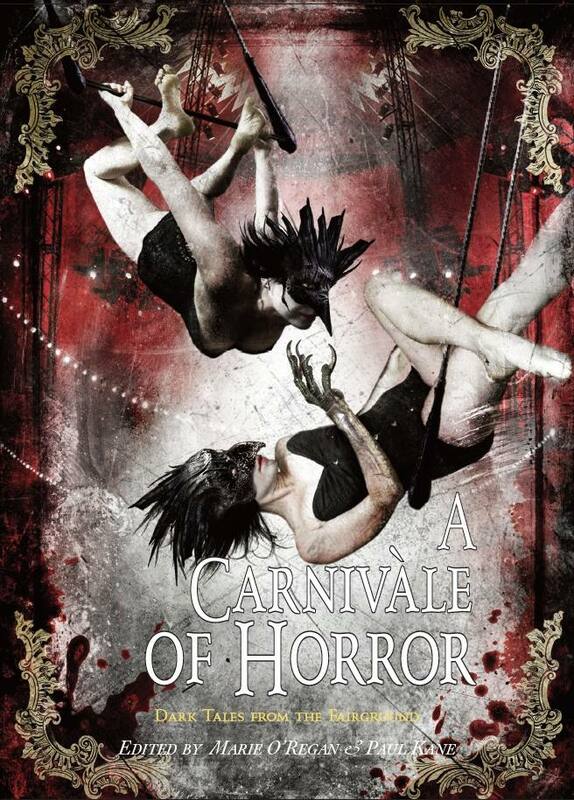 Since I’ve already stated my reserve for the subject “A Carnivàle of Horror” might prove too much after Ekaterina Sedia’s anthology. But I can’t deny that Joe Hill, Andrew McKiernan (also contributor to “Circus: Fantasy Under the Big Top”), Alison Littlewood, Paul Finch, Robert Shearman and John Connolly, completed with the re-print of Ray Bradbury’s “Something Wicked This Way Comes”, are reasons enough for me to become interested in Marie O’Regan and Paul Kane’s anthology. With two such titles available in such a short period of time, I have only one more desire, for the circus theme not to be the next trend and to start assaulting the market with countless of similar titles. Fingers crossed! The circus and fairground have long been associated as much with menace as they have with fun. Now, gathered together in one impressive volume from PS are some of the best examples of weird and horrific fiction from the big top. TOC & Book trailer - "A Season in Carcosa" edited by Joseph S. Pulver, Sr. I was talking at the beginning of the year about two anthologies edited by Joseph S. Pulver, Sr. due to be released this year, “A Season in Carcosa”, a tribute to Robert W. Chambers’ “The King in Yellow”, and “The Grimscribe’s Puppets”, a tribute to Thomas Ligotti. 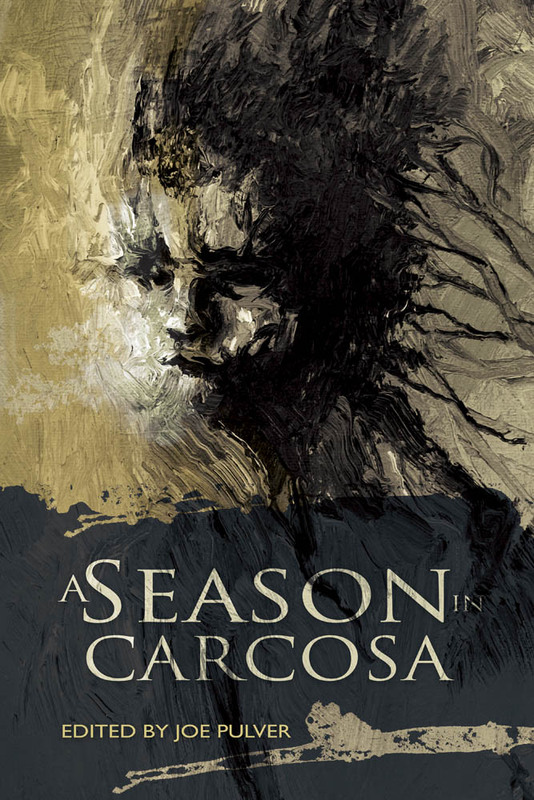 Well, the time has come to see “A Season in Carcosa” a finished product and ready to reach the readers. Since Joseph S. Pulver, Sr.’s “A Season in Carcosa” is one the titles I wished to read as soon as I discovered it and I managed to muster enough patience until now, I believe that I can wait a few more days until I’ll be able to purchase a copy of the anthology. Until then, I would dwell on the anthology’s catchy trailer, very interesting synopsis and mighty table of contents. “Not Enough Hope” by Joseph S. Pulver, Sr.
“Brom has collected together the very best of his art spanning his 30 year career. Many pieces have never before been published. 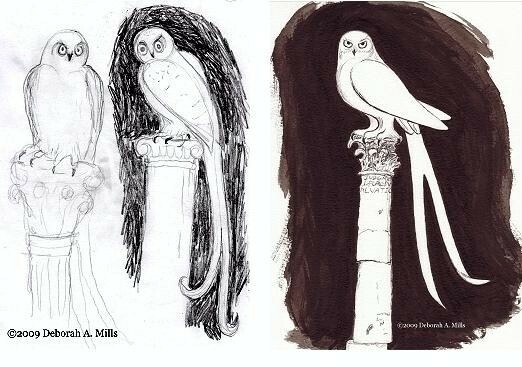 He's included a rare glimpse into his studio, and an in-depth showcase exploring his creative process, including sketches and preliminaries. 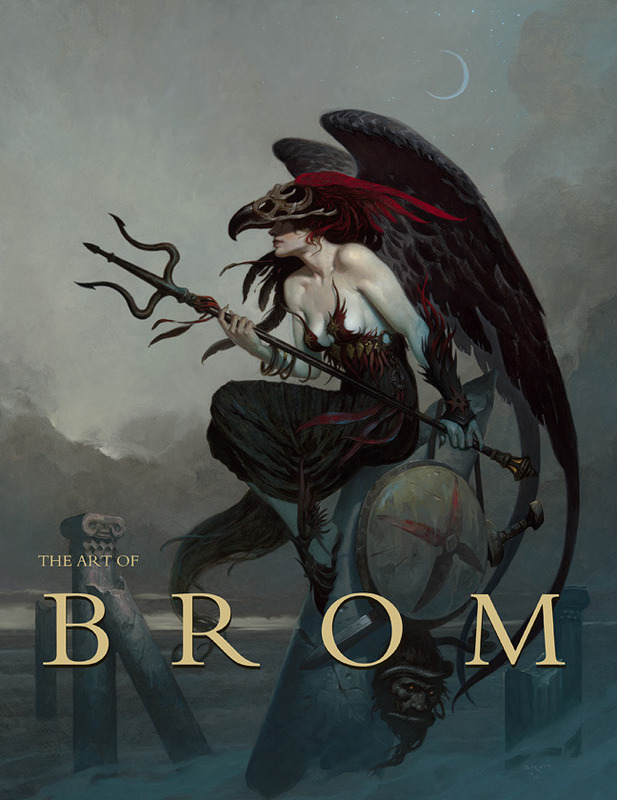 Brom has written an insightful autobiography sharing his artistic journey from his earliest childhood drawings, his frustrations with commercial art, challenges breaking into the industry, to his years working in games and film, and insights into his latest personal works. The project has the time limit of October, 5th to reach its funding goal, but that not only that has already happened, but it happened surpassing its funding goal well over ten times. And because of it there are plenty of bonus goodies that come from this. 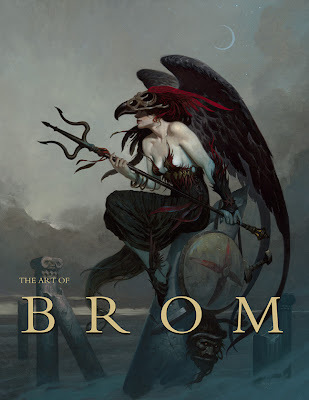 I am really excited about “The Art of Brom” although I do have to wait until June 2013 to receive my copy. However, I am very pleased to see that while waiting for the publication of Brom’s art book I can explore his newest novel, “Krampus, the Yule Lord”, due to be released by Harper Voyager on October, 30th. If I should name one of the most original and strong voices of modern fantasy fiction I would definitely choose without any hesitation K. J. Parker. The existence of K. J. Parker is shrouded in deep mystery, but the works published so far have been nothing but excellent. “Blue and Gold” is the second novella released by K. J. Parker after the wonderful “Purple and Black”. As is the case with the K. J. Parker’s last works, the world of “Blue and Gold” is reminiscent of Byzantium or Roman civilization in the republic phase, but with plenty of personal touches for originality. And again K. J. Parker does not hit the reader on the head with excessive and bulky world-building, but unveils the setting with subtlety. The most striking details are the political and economical ones, strong factors that give the world solidity and stability. Even the smaller details in the political and economical cogs that spin the world of “Blue and Gold” are not left to chance, and carefully treated. The story is told through the voice of Saloninus, a brilliant alchemist, found on the run after he is accused of his wife’s murder. Skillful, intelligent and witty, Saloninus is a very charismatic character with quite a story to be told and with a particular history behind him. I cannot place Saloninus among the positive characters of fiction, more appropriate for his definition is the Dungeons & Dragons alignment of chaotic neutral. Nonetheless, Saloninus is one of the most likeable and memorable characters I encountered in my readings. 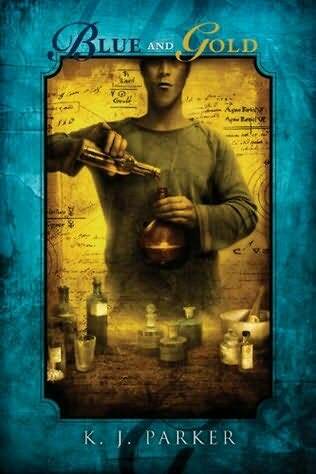 And the manner in which Saloninus recollects his story is full of humor, quirky but attractive, and with enough charm to keep the reader glued to the tale until it is finished. As a matter of fact, K. J. Parker’s entire novella is full of humor, sometimes sarcastic, sometimes friendly. It is in fact a step away from the majority of K. J. Parker’s novels: a radiant and entertaining read. Not that the other, darker works are not entertaining, but in a different manner and for different reasons. The plot is not overly complex, but beautifully constructed, with plenty of mystery and suspense to keep the reader guessing, until “Blue and Gold” is brought to a close... an end that although not surprising, is delightful and amusing. K. J. Parker is one of the most underrated names in fantasy literature, although the works published so far are evidence enough of the contrary case. If it was necessary, “Blue and Gold” is another proof that certifies K. J. Parker’s originality and powerful voice. Definitely one of my all-time favorite writers. ChiZine Publications became over the years one the publishers that I watch closely because the titles I read in time from this independent press were always surprising and of high quality. It was to my further delight to learn that ChiZine Publications will launch a new imprint in 2014 dedicated to Young Adult fiction, “ChiTeen”. Not only that, but the new imprint will start with the publication of a novel written in collaboration by one of the authors that captured my attention over the last years too, Paul Tremblay, and Stephen Graham Jones, “The Unlikely But Totally True Adventures of Floating Boy and Anxiety Girl”. Co-publishers Brett Alexander Savory and Sandra Kasturi announced today a new imprint for ChiZine Publications (CZP) to focus on Young Adult fiction. Called “ChiTeen,” the first title will be The Unlikely But Totally True Adventures of Floating Boy and Anxiety Girl by Paul Tremblay and Stephen Graham Jones, scheduled for release in spring 2014. Kasturi and Savory will serve as ChiTeen’s co-publishers along with most of the CZP team. They are currently approaching authors to fill out their 2014 roster. They are not currently open to un-agented submissions for the new imprint. As with CZP, distribution will be handled by HarperCollinsCanada in Canada and Diamond Book Distributors throughout the rest of the world. Foreign rights are handled by Cooke International.